This is an accidentally funny podcast about the realities of Blackness and adult life. Jenn is a queer, Black feminist from Oakland. Daren is an introverted nerd and novelist from Anaheim. They are boo’ed up and have been since 2002 when they bonded over a mutual love of Brian McKnight’s “Never Felt This Way”, their favorite Brandy lyrics, and nineties TV like Family Matters, Fresh Prince of Bel Air, and Living Single. 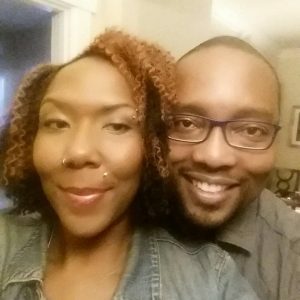 It was a shared obsession with Black cultural icons, histories, and artistry that drew Jenn and Daren to one another even though they are actually completely different personality-wise. Jenn and Daren have always said to themselves, “Wouldn’t it be cool if we had a show?” Well, no major networks have reached out yet. So, until that happens, you can find the them here, sharing their views on race and culture and everything in between. They are young thirty-somethings who have been married since for over a decade. Jenn and Daren have three beautiful, brilliant, radical, snarky kids who play no games.